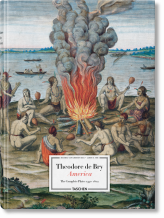 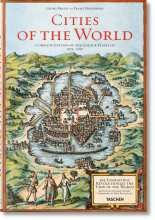 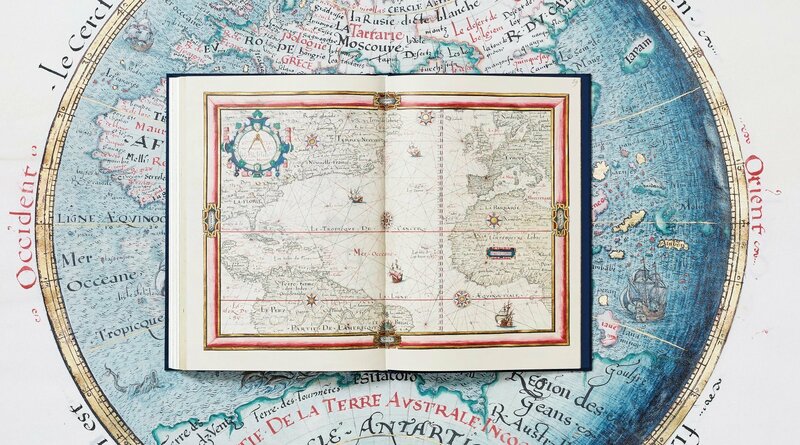 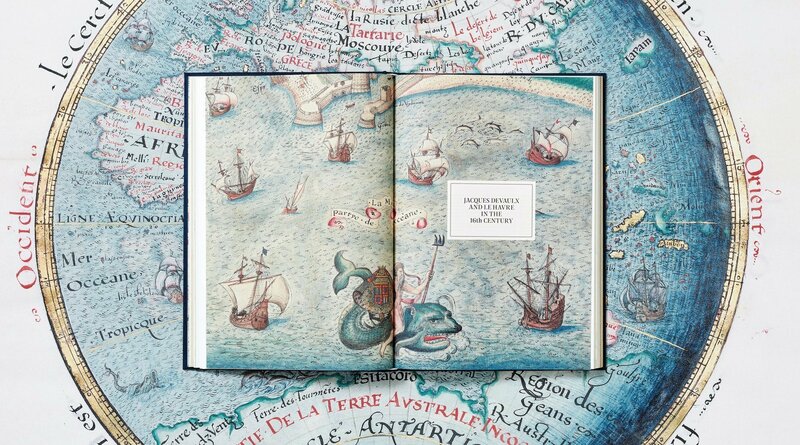 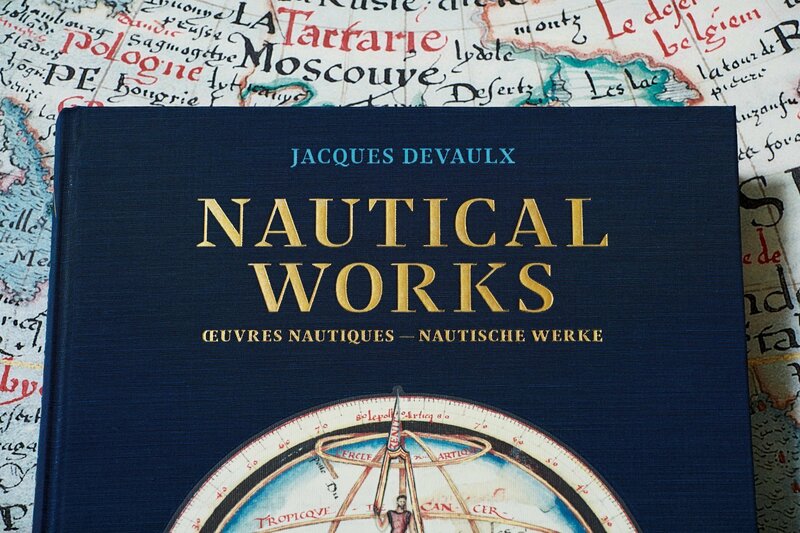 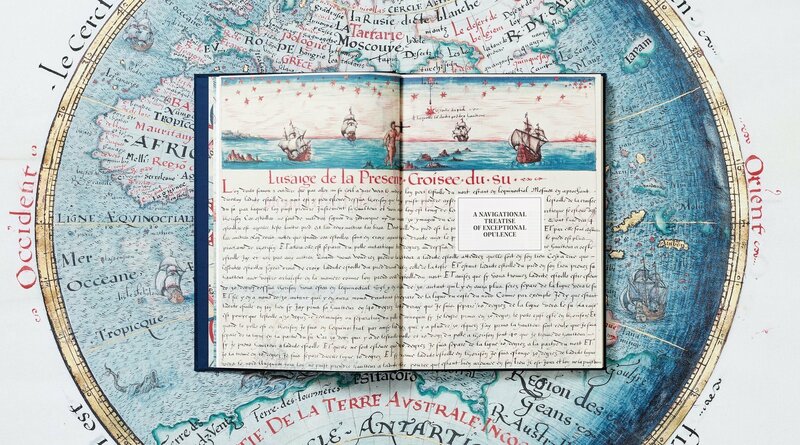 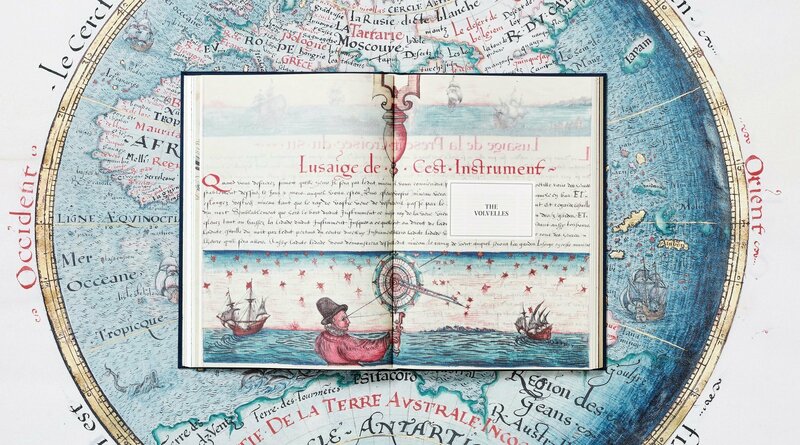 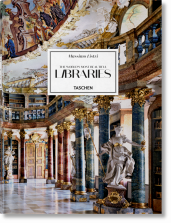 Five hundred years after the historic French seaport of Le Havre was established, TASCHEN presents a facsimile reproduction of Les premières œuvres de Jacques Devaulx, pilote en la marine, first published by Le Havre-born “Naval Pilot to the King” Jacques Devaulx in 1583. 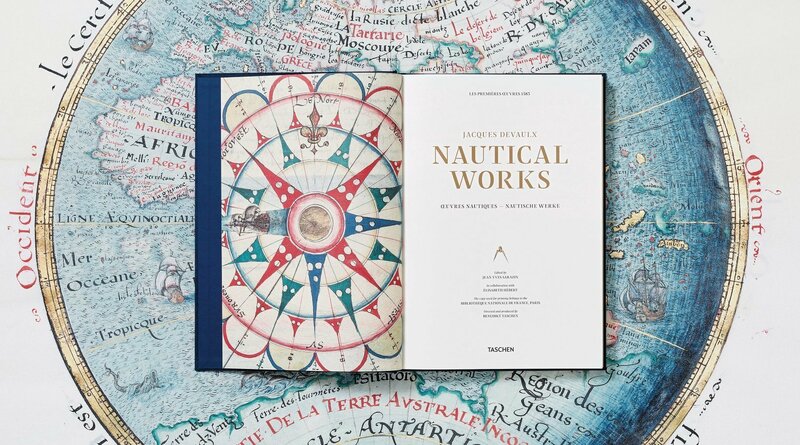 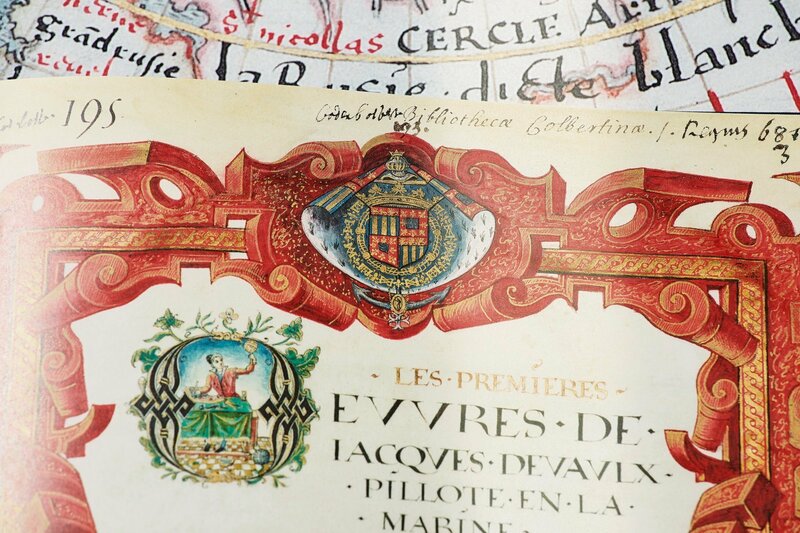 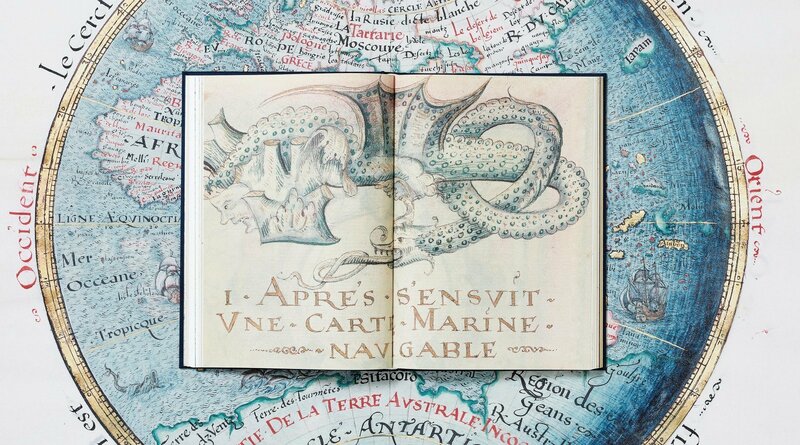 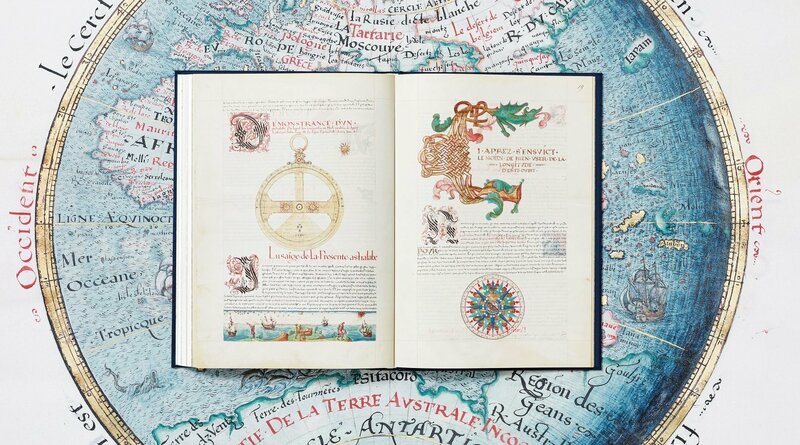 This extraordinary illuminated manuscript, dedicated to the Duke of Joyeuse, collates nautical, astronomical, and cartographic ideas as well as Devaulx’s own extensive notes, observations, and records as a seafarer, hydrographer, cosmographer, and cartographer. 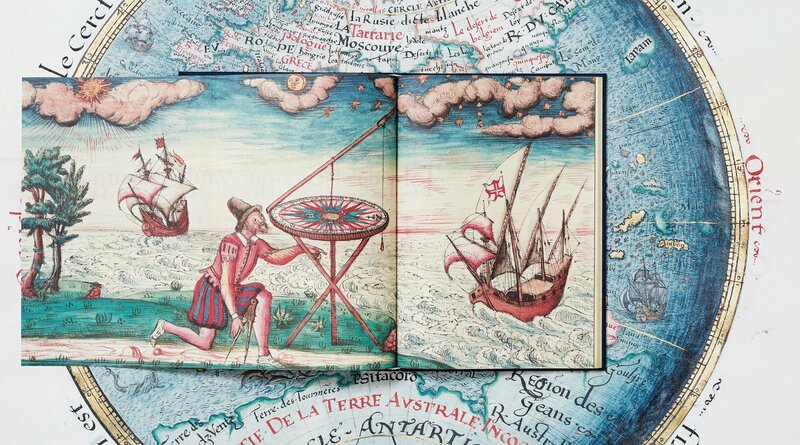 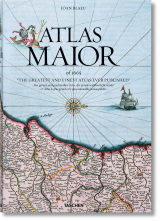 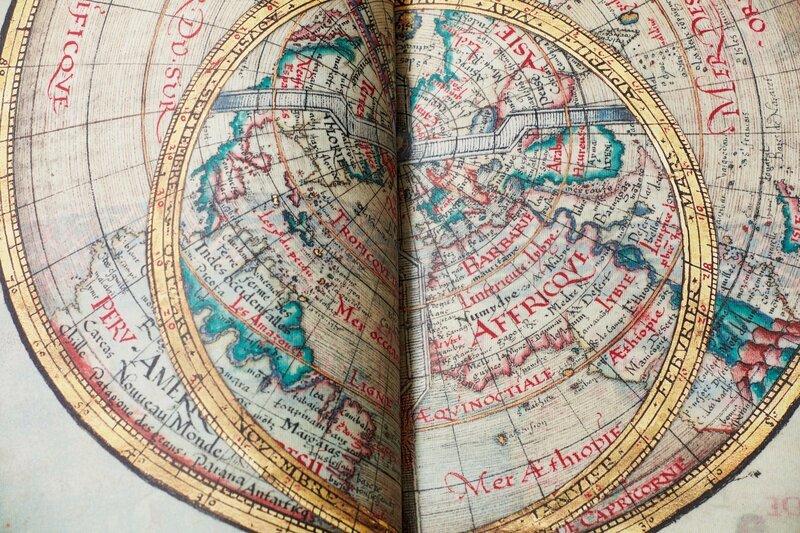 An encyclopedic reference for sailors, as well as a magnificent maritime showpiece for his royal employers, the elaborately annotated and decorated folios are a repertoire of naval and cosmographic tools and techniques, including astrolabes, nautical charts of the Atlantic Ocean, tabular statements of diurnal tides, astrological charts, and measurements for solar altitude. They also gather Devaulx’s volvelles, wheel charts made of rotating parts that are today considered an early example of the paper analog computer. 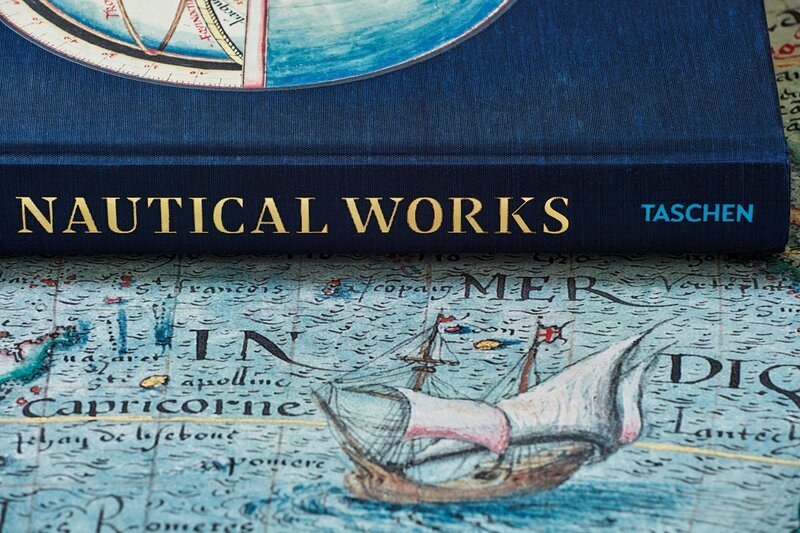 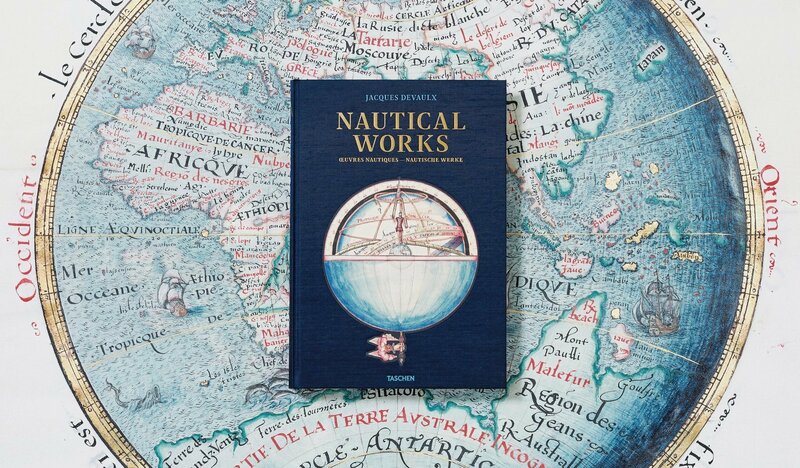 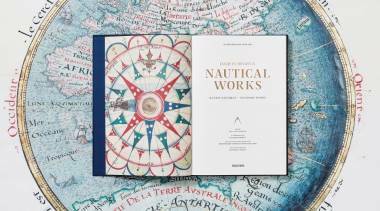 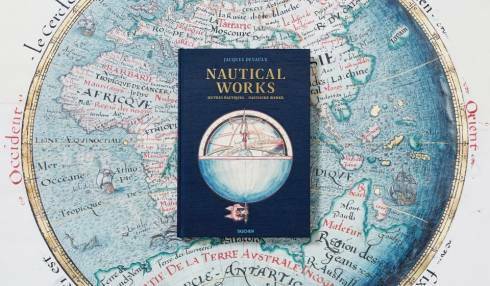 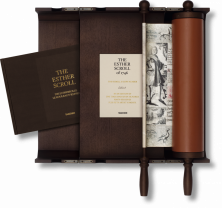 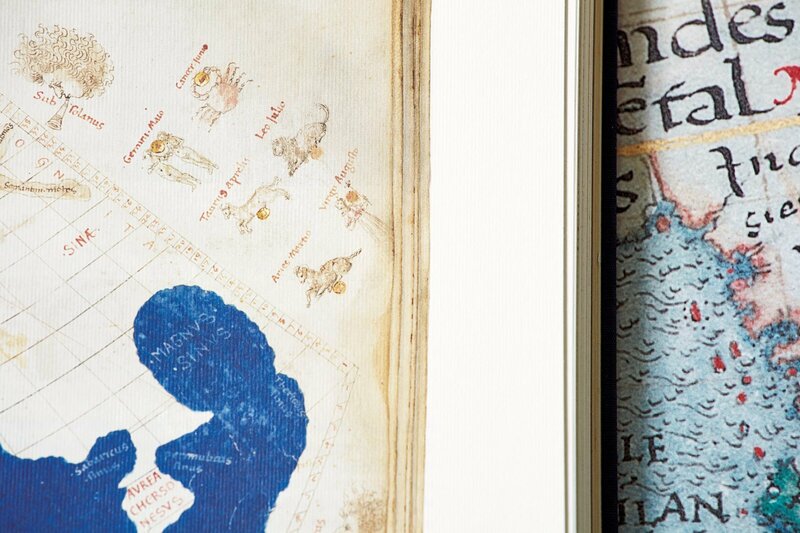 Together, the folios encapsulate the state of knowledge at a time when sailors pushed the limits of sea exploration and offer a glimpse into the practical daily requirements of Renaissance seafaring. 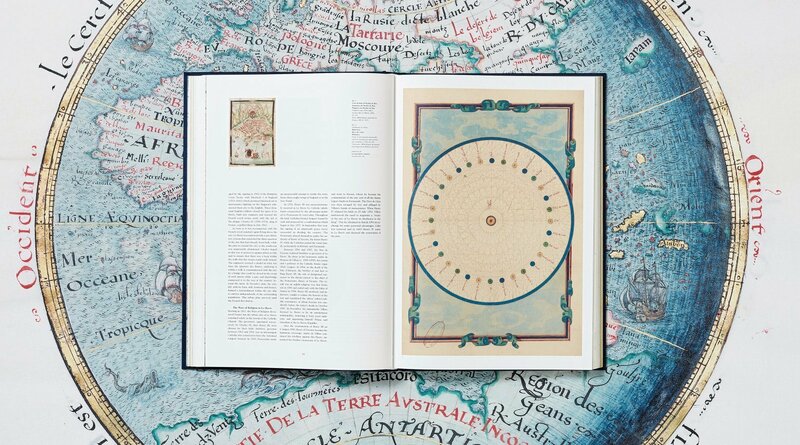 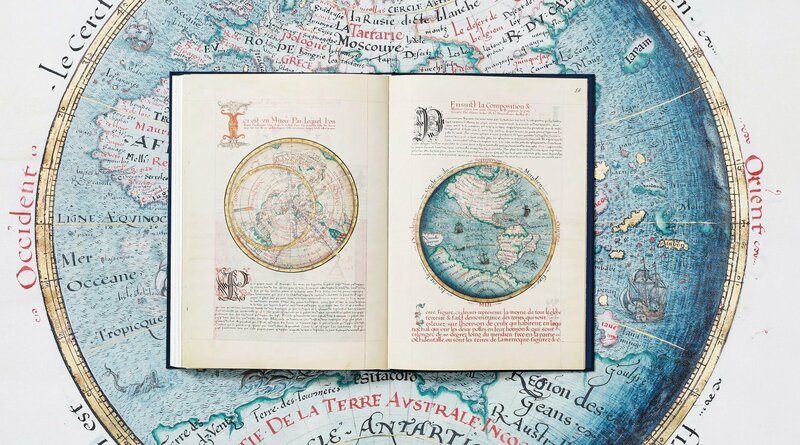 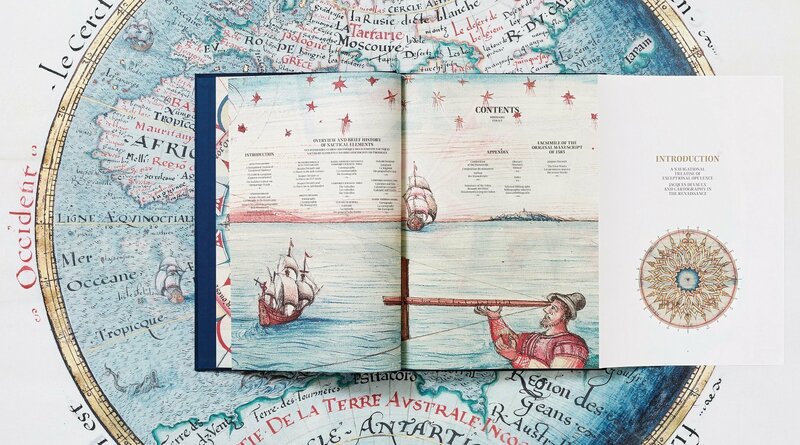 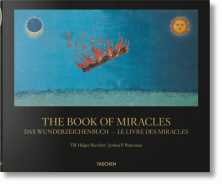 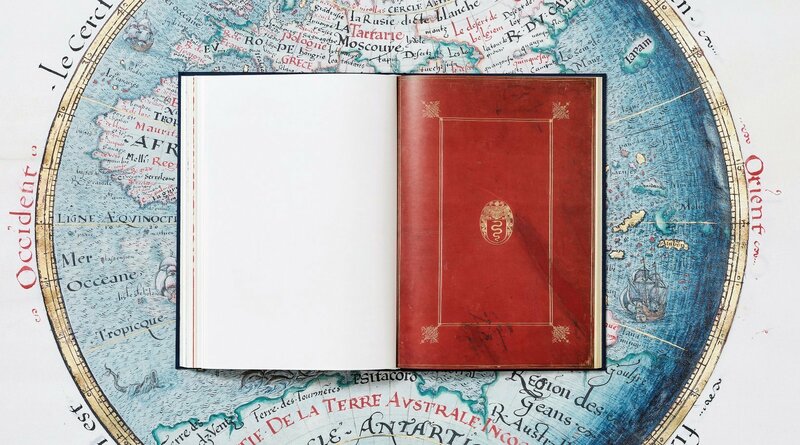 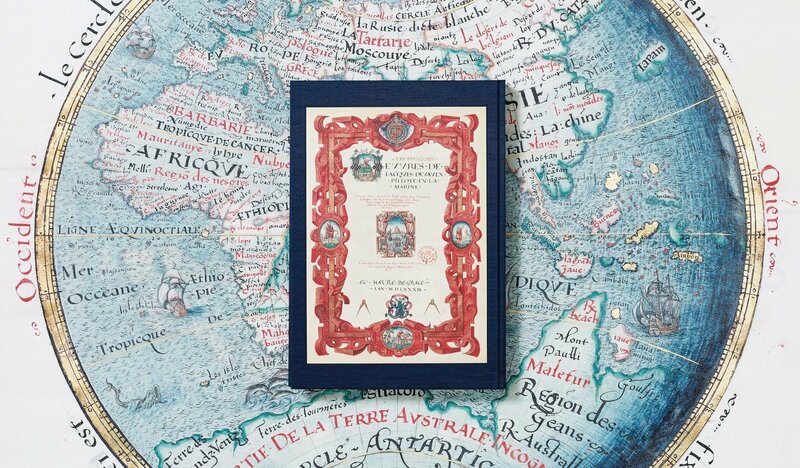 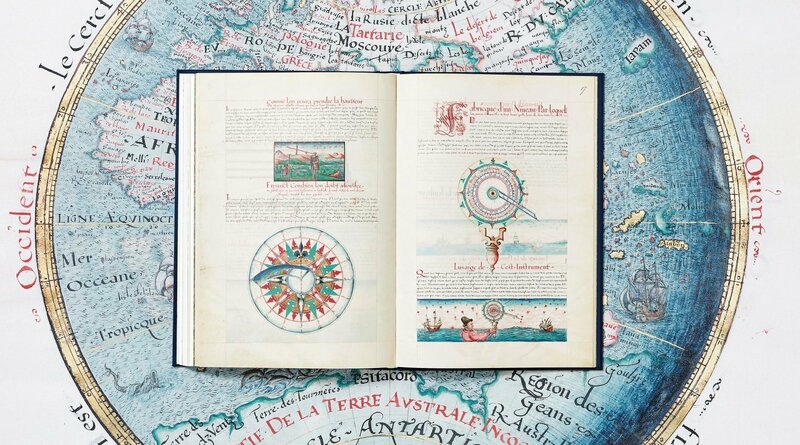 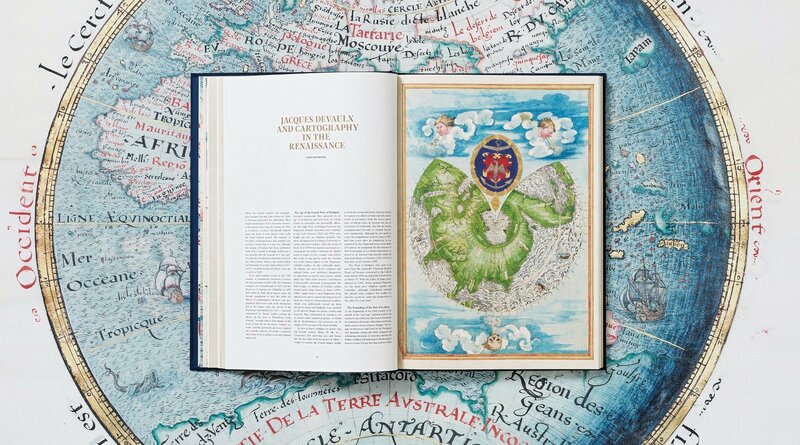 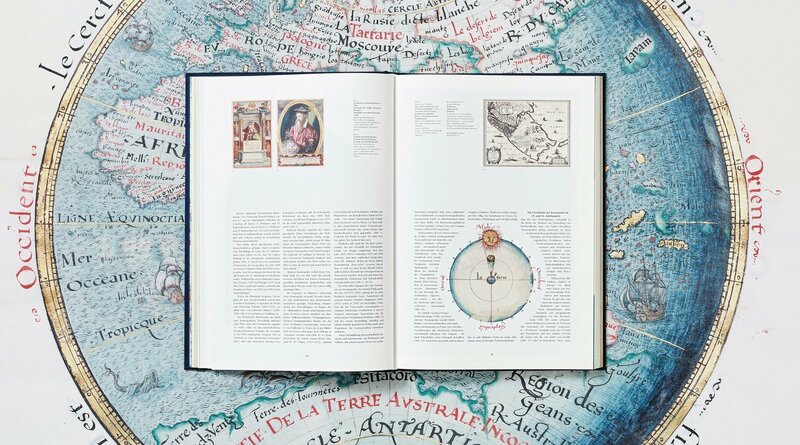 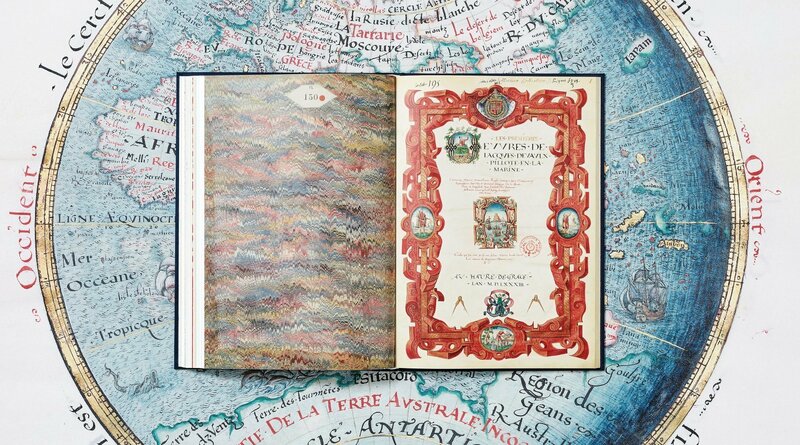 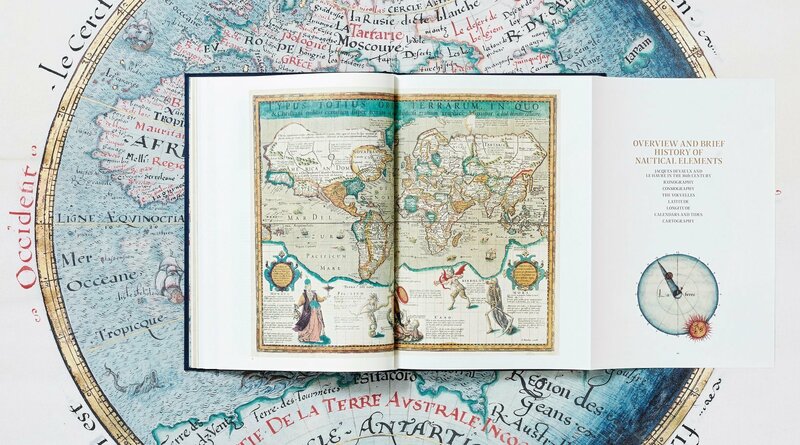 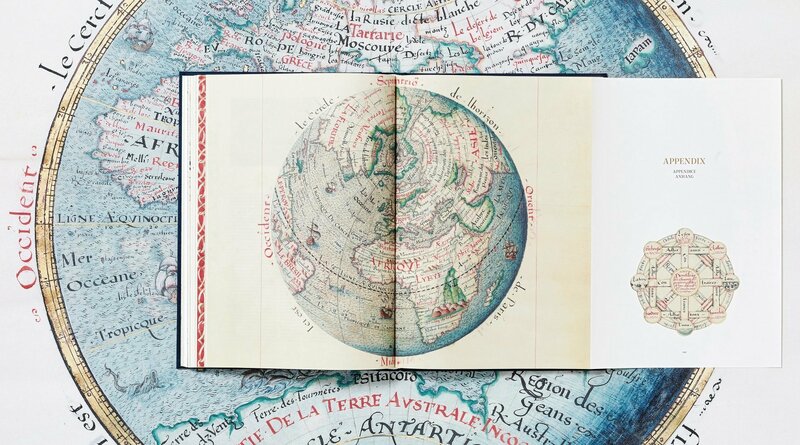 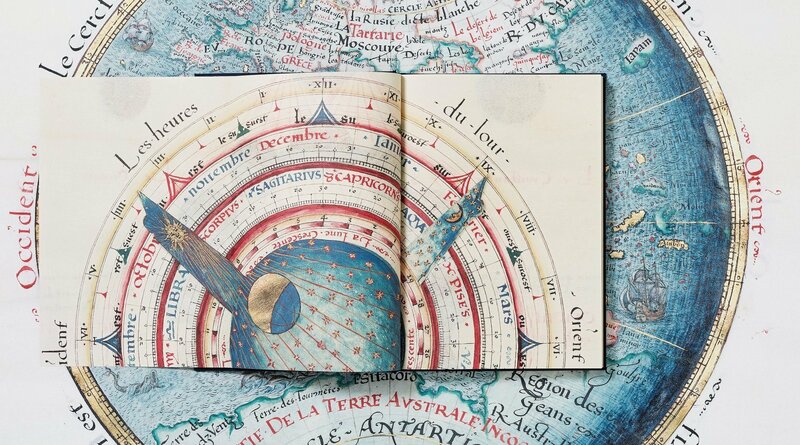 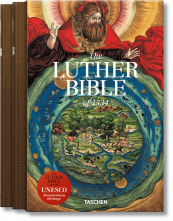 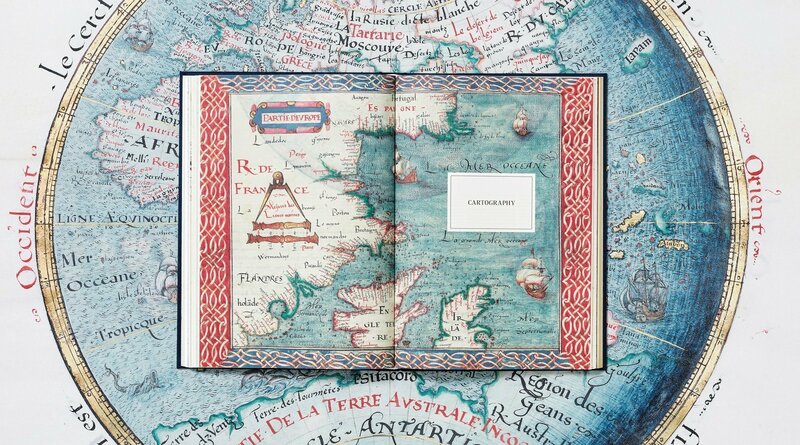 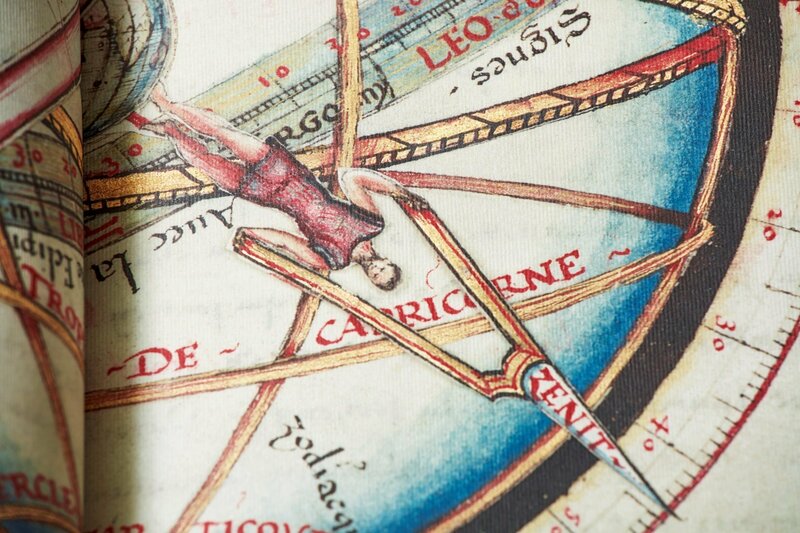 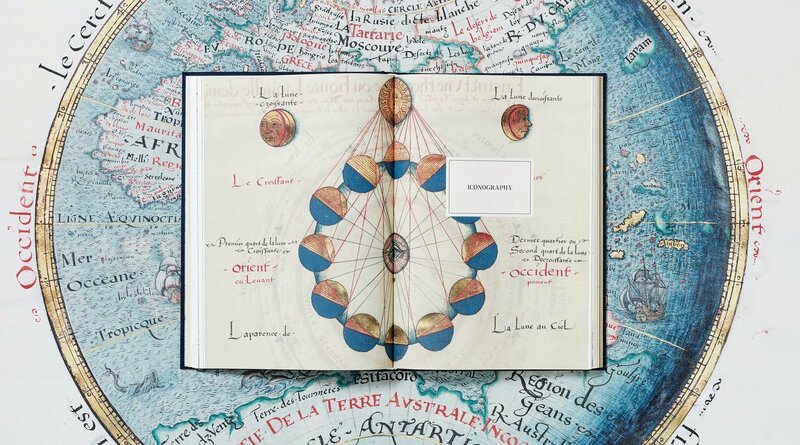 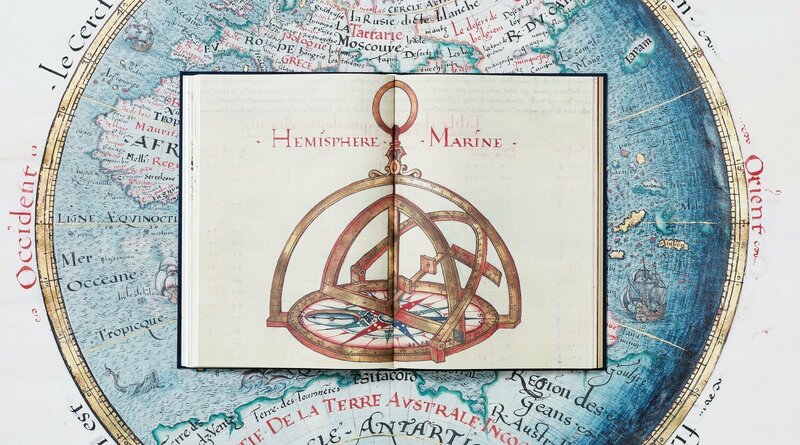 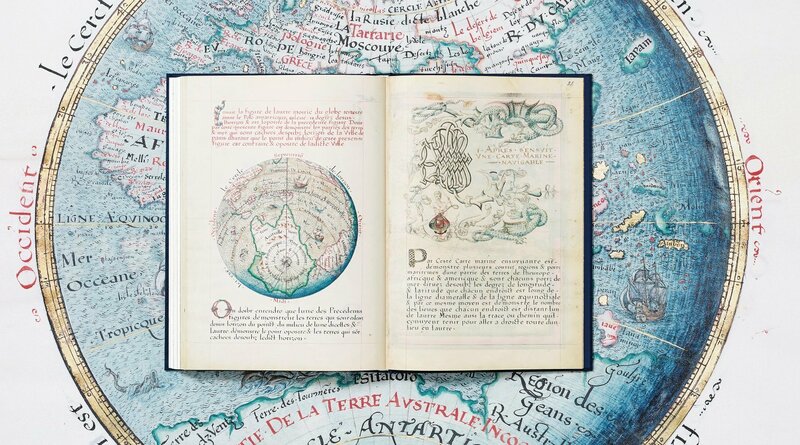 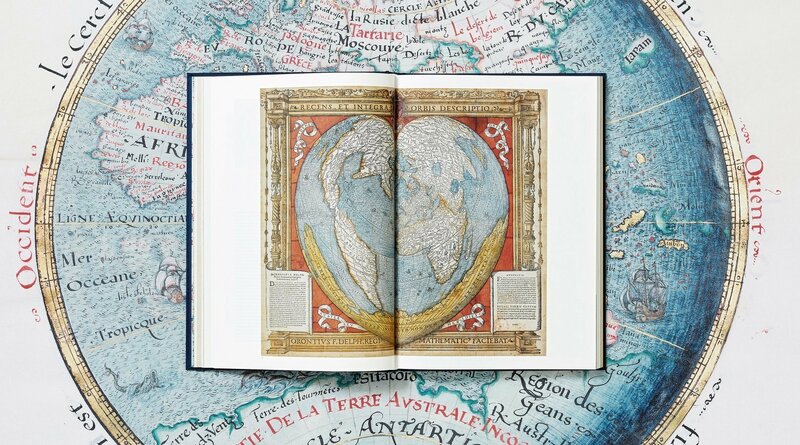 This edition of Devaulx’s stunning document, produced in collaboration with the Bibliothèque nationale de France, reproduces each of the 31 folios in all their brilliant art and science, including the original colorful illuminations, in particular the volvelles. 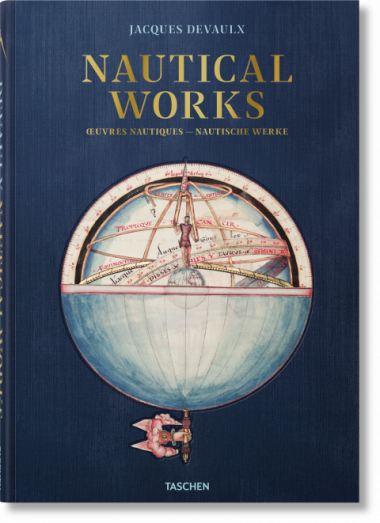 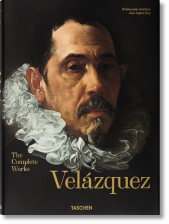 The volume features essays by Jean-Yves Sarazin and Gerhard Holzer, as well as commentaries from a team of experts coordinated by Élisabeth Hébert and Véronique Hauguel-Thill, contextualizing Devaulx’s work with fascinating insights into 16th-century seafaring and exploration.